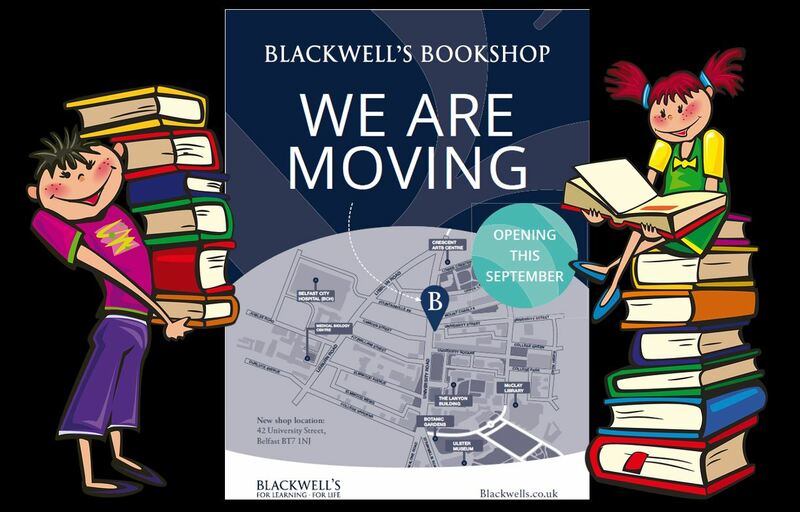 BLACKWELL’S – THE QUEEN’S UNIVERSITY BOOKSHOP – IS ON THE MOVE! Blackwell’s Bookshop, which has been supplying books for Queen’s students through its outlet in the Students’ Union since 2012, is on the move as part of the major reconstruction and rebuilding work on the Students’ Union site. The bookshop is relocating to 42 University Road as part of a major investment to become a permanent fixture at Queen's. The company boasts branches on over 30 university campuses across the UK and has been selling books at Oxford University since 1879. Speaking about the latest development at Queen’s, Alan Wilson, Manager of Blackwell’s at Queen’s, said: “Blackwell's is the UK's leading academic bookseller with shops from Aberdeen to Exeter. As well as campus bookshops, we provide bespoke solutions to fit the needs of your students and academics. “It has been our pleasure to have served thousands of students and academics at Queen’s for the past 6 years. The closure of the old Students’ Union building – which is making way for a new state-of-the-art Student Centre in 2021 – meant that we too had to pack up and move. In addition to access to digital content, Blackwell’s currently offers an extensive array of publications across many categories including Irish Literature, modern classics, travel, cooking, new releases, thriller and fantasy as well as a full range of books for Queen’s students and academics, including many written by University staff. Apart from the selection of books available, there are other – perhaps more nostalgic – reasons for Queen’s alumni visiting the new premises next month, as Alan Wilson explains: “It would be really nice for graduates to visit the new shop when they pass by or are visiting the locality. Blackwell’s Bookshop will be reopening in September. For further information on Blackwell’s Bookshop at Queen’s University Belfast please email queens.belfast@blackwell.co.uk, telephone +44 (0)73 4187 2988 or visit the company website – www.blackwells.co.uk.